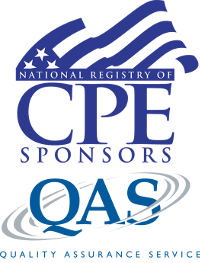 Excel University (Sponsor #124370) is registered with the National Association of State Boards of Accountancy (NASBA) as a sponsor of continuing professional education on the National Registry of CPE Sponsors. State boards of accountancy have final authority on the acceptance of individual courses for CPE credit. Complaints regarding registered sponsors may be submitted to the National Registry of CPE Sponsors through its website: www.learningmarket.org. Excel University is registered for the QAS Self-Study delivery method. Each state board of accountancy maintains regulations regarding qualifying CPE programs. Some states require QAS, some require NASBA standards, and others require direct registration. While the following information is believed to be accurate, we've included links to each state board of accountancy for reference. Note: We have registered with the Texas State Board of Public Accountancy as a CPE sponsor. This registration does not constitute an endorsement by the Board as to the quality of our CPE program. 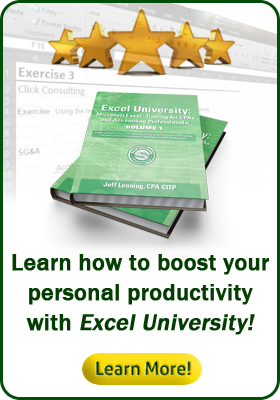 The information below applies to Excel University courses in general. For course-specific information, such as number of recommended hours, please visit the course details page for the selected course. In the event a program is canceled, we will notify the registered participants via email. We provide a full refund for any course cancellations or registration into upcoming session if preferred.